It is a two hours and forty-five minutes flight from Amsterdam to Kiev. From Kiev to Mariupol it takes 18 hours (train and bus) or 21 hours (train non-stop). Well, the global world. Distances change. 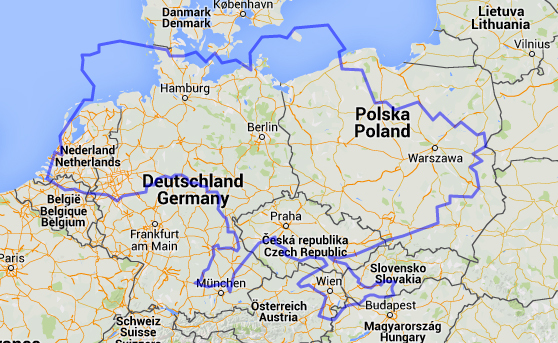 But how big is Ukraine really? To give an example: here’s a picture. From The Hague till the Polish-Ukrainian border. More or less.